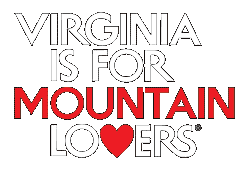 Richmond, VA- Governor Terry McAuliffe recently announced that Giles County received $21,177 from the Virginia Tourism Corporation Marketing Leverage Program grant fund. In total VTC awarded $927,000 for 43 tourism marketing projects across the state to help increase visitation and revenue for Virginia’s localities through tourism. The grants are designed to help local and regional tourism entities attract more visitors by leveraging local marketing dollars, and will ultimately impact at least 159 other statewide tourism entities. The local organizations match the state grant funds by a minimum of 2:1 in order to support marketing projects. This funding cycle, the local partners will match the VTC grant dollars with more than $2.3 million, providing more than $3.2 million in new marketing to increase visitation to Virginia. Giles County received the $21,177 award for its Outdoor Destination Advertising Campaign. Giles Tourism partnered with local tourism attractions, outfitters, dining, and lodging establishments to supply $42,000 in matching funds for the project to raise awareness of Giles County as an ideal location for an outdoor lifestyle vacation, weddings, and relaxing family experiences. Through advertisement placement and promotional material production this campaign highlights and showcases the assets in Giles County, Virginia. Cora Gnegy, Tourism Marketing Director for Giles County stated that “the development of the New River Water Trail™, the growth of destination weddings happening in Giles, and the popularity of our outdoor assets make this award beneficial to sharing our story as a destination in Southwest Virginia.” In 2015 the Tourism Committee, made up of industry leaders from the community, trademarked the New River Water Trail™, as well as the county tagline, Virginia’s Mountain Playground™. “This award will support other marketing efforts to reach potential visitors to Giles. With an economic impact of over $26 million, travel and tourism are strong economic drivers, reaching the right audience is important as we continue to grow our destination attractiveness to those potential visitors” says Cora. “The Marketing Leverage Grant program is designed to spur job creation, economic development, and visitor spending through new or enhanced tourism product,” said Governor McAuliffe. “These grants are proven to increase visitation by creating marketing partnerships and effective marketing programs.” Research shows that every VTC dollar invested in grants resulted in $16 of direct visitor spending. Marketing campaigns that received Marketing Leverage Grants increased visitation by 15%. Tourism is an instant revenue generator for Virginia. In 2015, tourism generated $23 billion in revenue, supported nearly 222,600 jobs and provided $1.6 billion in state and local taxes. Dollars invested in tourism are proven to provide a 5:1 return in tax revenue for Virginia, and the grant awards and matching funds provide a stimulus to localities seeking to increase tourism visitation and revenue.